Dulcie Chai Tea by Teageek’ery – loving this amazing Nova Scotian grown hand blended tea. Mmm smells so good, and has some spiciness to it! 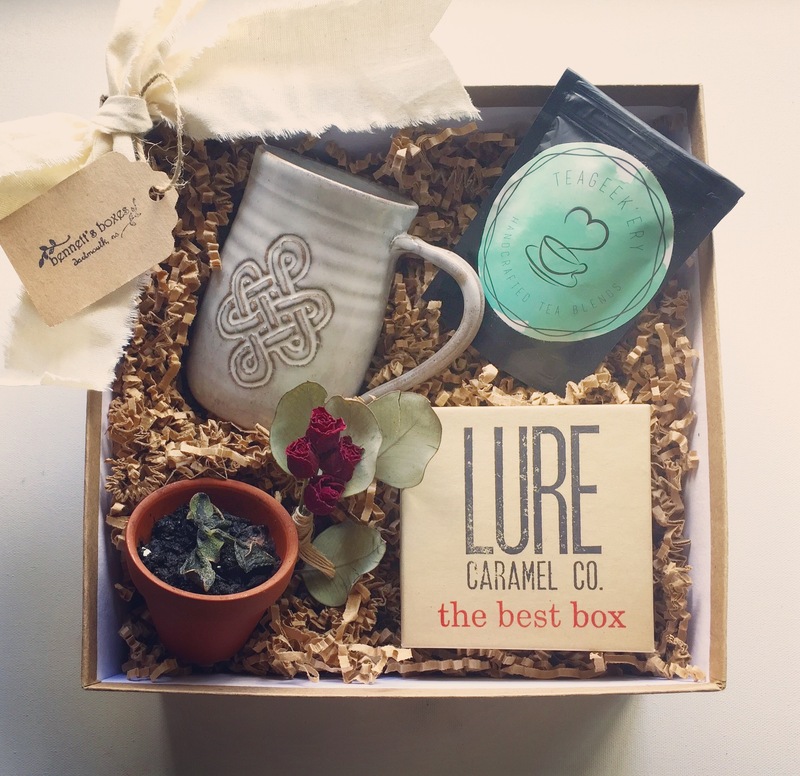 “The Best Box” from Lure Caramels Co. – holllly moly! Amazing caramels, simply amazing. There was one that tasted far better than a Turtle which are my favs. Drooool. Hand dipped and drool worthy. Succulent – aww man this little guy died in transit so trying to revive him! I’ve said it before but I do not have a green thumb whatsoever, but I’ll try! Celtic White Mug from Island Stoneware – So pretty! Love this amazing piece of pottery, a new fav mug for sure! Made by hand with the Celtic Knot which reflects Irish & Scottish heritage. Love!